How to make fabric storage cubes - Lovely Etc. Well, my boys’ room makeover is rolling right along! 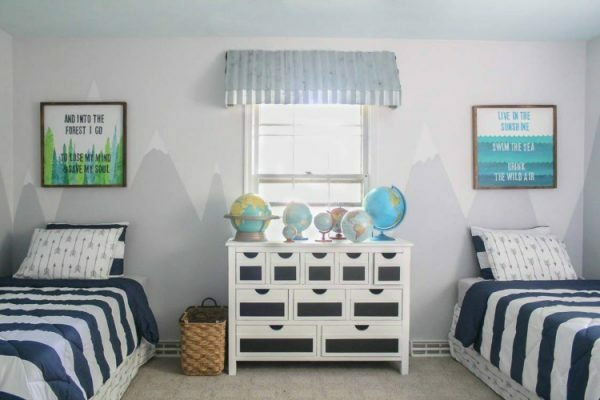 As I shared last week, I’ve taken on the challenge of transforming my older son’s bedroom into a shared room for both of my boys as part of the One Room Challenge. The challenge part? 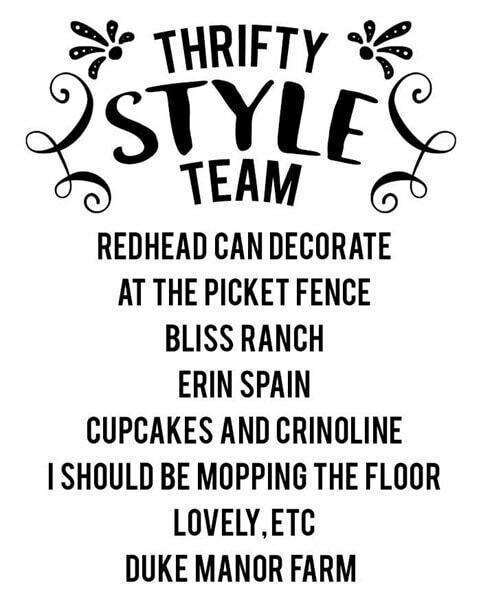 I only have six weeks to finish the whole room makeover! This week has been all about building a DIY closet organizer to create as much storage space as possible in their one small closet. The whole closet system isn’t finished yet, but I do have one fun project to share today: custom DIY fabric storage cubes. A major part of the closet plan is a section of built-in cubbies to hold clothes and shoes and those cubbies were in need of some stylish storage bins. After doing a bit of online shopping, I realized that there were plenty of inexpensive fabric storage bins out there. Unfortunately, I couldn’t find any that would work in the boys’ room. Everything was either too small, too expensive, or too ugly. I’m putting a lot of work into this closet and I want it to look good by golly! So I did what I always do when I can’t find what I want – I decided to make it myself! And I am so glad I did, because these turned out gorgeous! They are absolutely perfect and I can’t wait to see them in the closet. 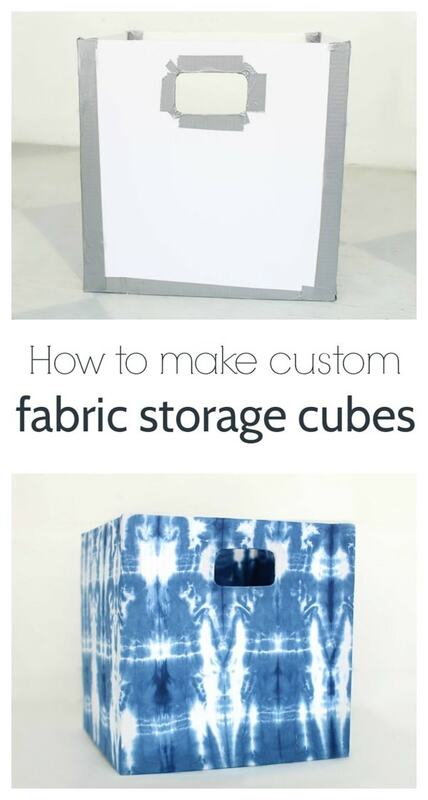 Plus they were inexpensive and you can make absolutely any size fabric cube using absolutely any fabric you want! Ok, so the easiest thing to do would be to simply cover some cardboard boxes with your fabric (much like I did here), but that doesn’t always work as well when you need a specific size box. I couldn’t find any boxes the right size, so I started from scratch. You need to cut five pieces of foam board for each box. My boxes are exactly 13” x 13”. In order for your cubes to perfectly square, you need to take into account the overlap of the foam board at the corners. 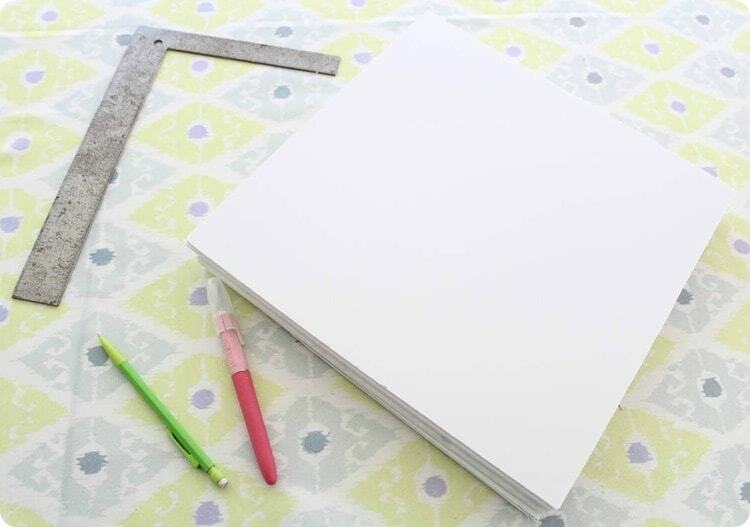 To make a 13” x 13” box you need two 13” x 13” squares (for the front and back), two 12.5” x 13” squares (for the sides), and one 12.5” x 12.5” square (for the bottom). You can easily cut the foam board using a craft knife and cutting mat. 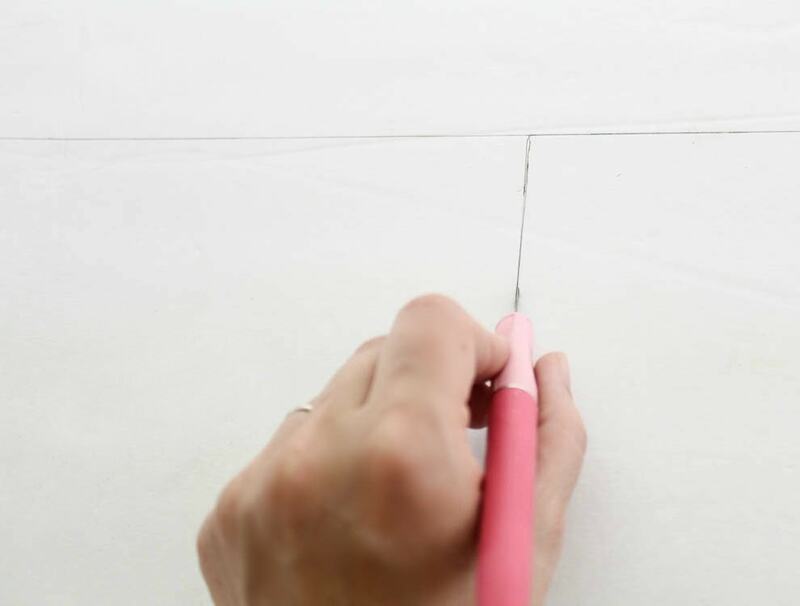 If you have a square ruler, it makes it much easier to keep all of the edges nice and straight. I also chose to cut out a hand hold to make it easier to use. 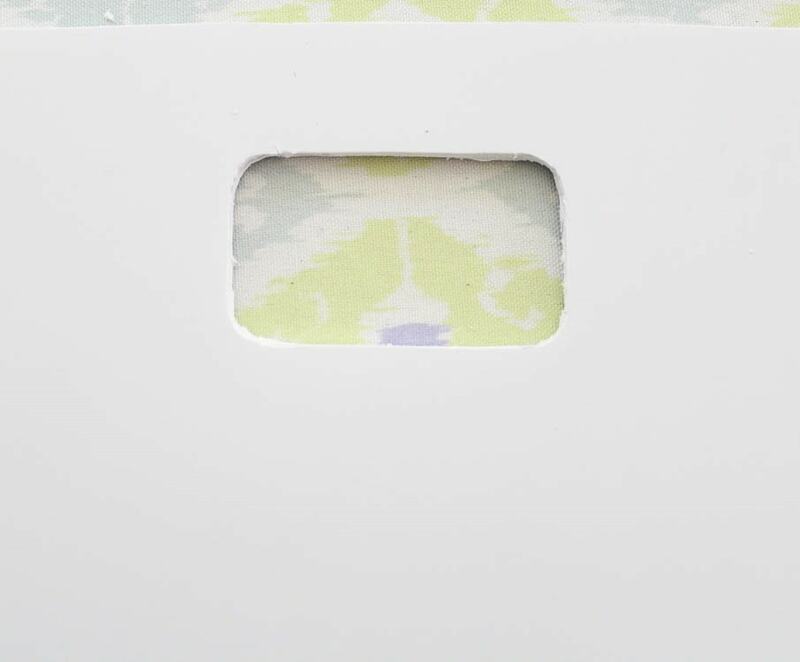 I simply cut a pattern from card stock and then traced it onto the front piece, centered, one inch from the top. Then I carefully cut it out with the craft knife. This way, I can trace the same shape quickly onto each box I make. 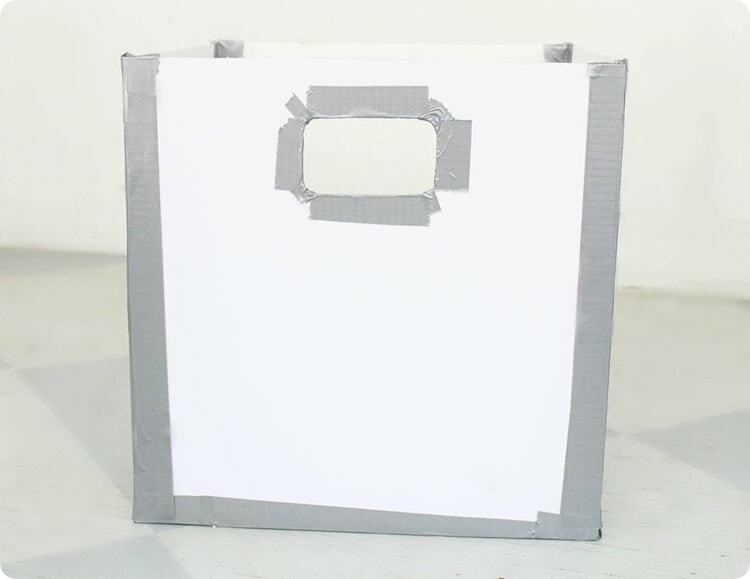 Once all of the pieces are cut, simply use duct tape to attach each of the pieces at the seams. The front and back pieces will slightly overlap the side pieces. You could possibly use a hot glue gun for this instead of duct tape, but I prefer to avoid hot glue whenever possible. (I’m not the only one who manages to always burn myself and ends up with a million glue strings everywhere am I?) I also used some duct tape to reinforce the handhold. Just make sure to keep your duct tape as smooth as possible – big wrinkles can show through the fabric. Ok so it may not look like much yet, but adding beautiful fabric is like magic. 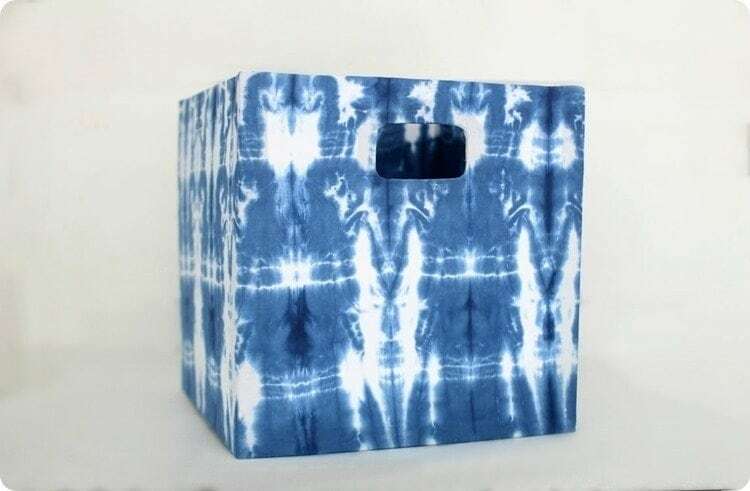 I chose this fun shibori print which I got for a steal at Joann Fabrics with a 40% off coupon. 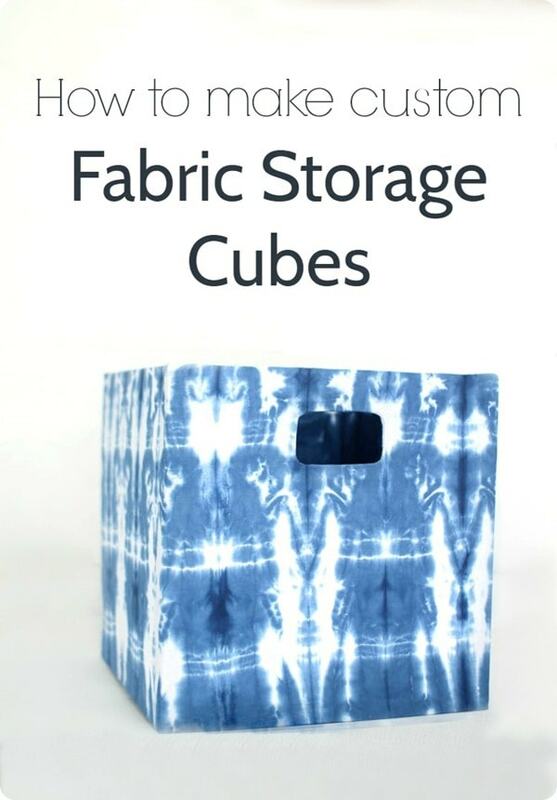 I was able to make two large cubes using just a yard and a half of fabric. I cut my fabric in half lengthwise so I had two strips of fabric that were 22” x 54”. Then I wrapped each piece of fabric around one of my DIY boxes. I used spray adhesive to attach the fabric and it worked perfectly. The last step was to use my craft knife to carefully cut several flaps in the hole for the handhold and then wrap the fabric flaps around the hole. How gorgeous is that! You would absolutely never guess that this high-end storage cube was actually made out of foam board and duct tape. These boxes are very sturdy – sturdy enough I feel comfortable letting my kids use them and that’s saying something. And I love that you can make them the exact size you need with your absolute favorite fabric for a custom look. Next week, I’ll be sharing our DIY closet system, but in the meantime you are going to want to check out these inexpensive projects from the rest of the thrifty style team. Just follow the links below to see all the details of each project! These are so fun, Carrie! 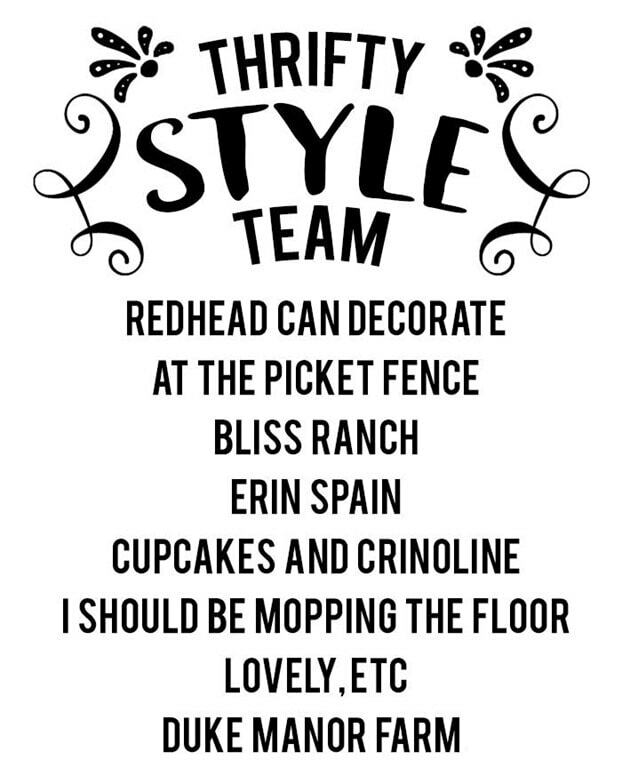 Definitely needing to get better organized this summer…pinning these for my to do list! Thanks Kristi! I love how they turned out! I love this idea! Not only is it useful and inexpensive but they are so pretty! Thanks Mary Beth! I love that you can make them with any fabric you want. Those are so awesome Carrie!! Well done! Thank you Susie! I agree – that fabric is amazing! I love your creativity, these are so cute! how creative and I love the fabric choice! That fabric!!! It’s amazing. I love the print and the vibrant blue tones. It almost looks like it’s tie-dyed. I can’t wait to see more and how your room takes shape. Love your style. Why didn’t I think of that?!! Storage cubes are so expensive! Good work! Oh these are so cute!!! Can’t wait to see your finished room! Thanks Nicole! The room is really coming along now! I’m wanting to make these because I can’t find matching cube bins either. Hi Michelle, I basically cut the fabric into long strips and wrapped them around the sides. The bottoms are not covered (and nobody ever turns them over to see the bottom anyway). And the insides are not totally covered. The fabric extends about 6 inches down the inside sides. Doing it this way you can see the white foamboard if you look inside the box when it is empty. But if it is at least half full of stuff, the white gets covered. If you want to the inside to be more uniform you could use a bit more fabric so you could cover it as well.